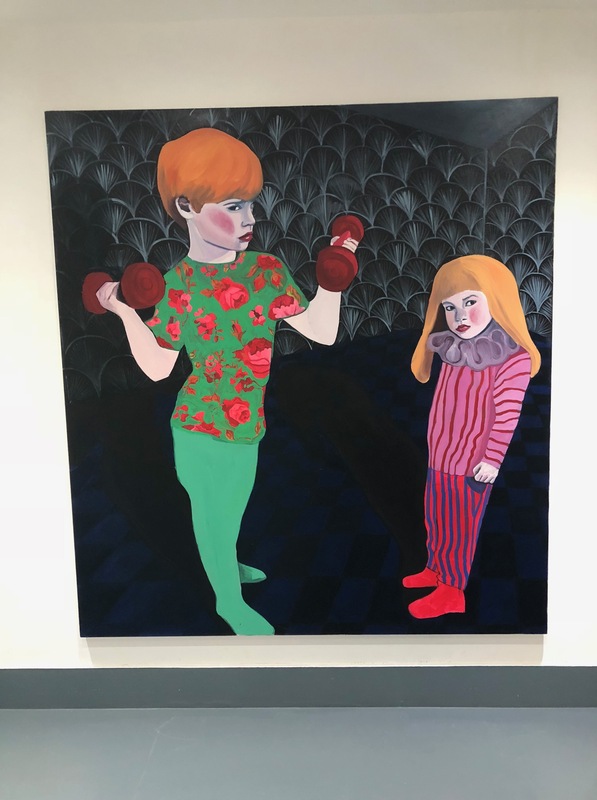 Artist Zena Blackwell’s first solo show at Roath’s Cardiff M.A.D.E is a high contrast, intensely critical look at constructions of childhood and the domestic. I’m having a slothful Saturday. Late start, no bread for toast. No milk for coffee. I make my way, thankfully, to cardiff MADE’s beautiful Lochaber Street café. There’s a £5 minimum for card payments, so with little persuasion I order myself a latte and two slices of cake. The barista compliments my nails. I blushingly tell them it looked nicer before it was chipped. It’s a gruelling job I have. Of course, it’s not just a café. It’s at the very intersection of how collaborative workspaces, creative enterprise might look in 2018. Today, it’s the gallery space I’m most interested in. I’ve come to spend my Saturday morning taking in as much as I can of Zena Blackwell’s beautiful debut solo exhibition. 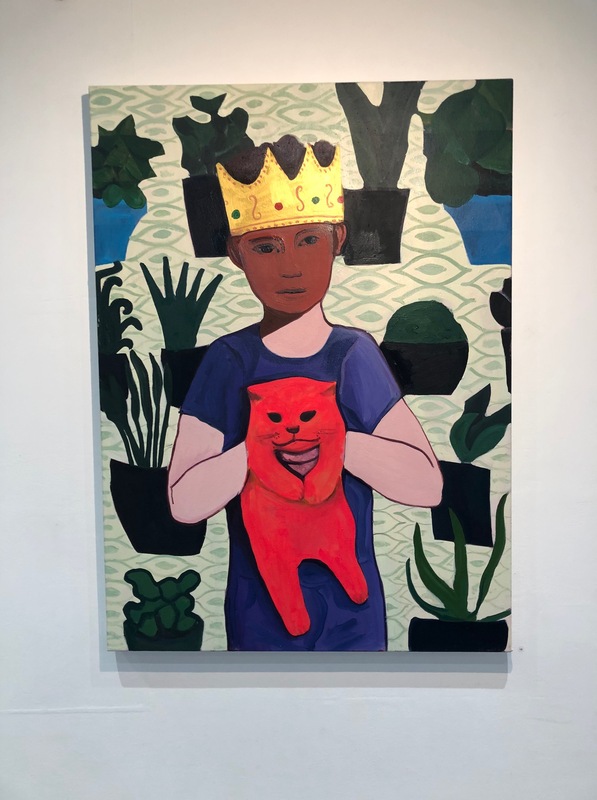 I’m led into it warmly, beginning on smaller canvases at the counter and opening up onto much larger, striking pieces as the space opens up towards the back. I’m struck, at first, by the almost hyper-realism of each face I look into. Contrasting dramatically with how Blackwell plays with perspective and dimensions. It’s larger than life. Claustrophobic, as MADE’s press release had warned me. Domestic chaos is one way of looking at it. But that might overlook the real scope of the work. It’s a culmination of how our sense of our individual worlds change at each stage of our lives. What it might look like should someone (Blackwell) harness those oppositional points of view and force them into the same space. And then there’s the tender moments, defamiliarized, suggesting the freedoms that furnish a child’s life being a dissent from what we experience in adulthood. It can, at times, make the playful feel chilling. But that’s why this collection is so important. A voice, amongst the picturesque ideals of suburban motherhood, trumpeting a truth more complex. Reminding the viewer how both, often rather than not, dwell in the same space. Quite poignantly, when gallery spaces don’t often lend themselves to showcasing this narrative. I am by no means an authority on art. I can hardly highlight a document neatly. But there is an absence of self-consciousness that makes this exhibition so successful to the layperson. It is confronting. Deeply moving. It gives space for these ideas to permeate an audience otherwise ignorant or silenced of these concerns. Meaning deduced from the culmination of the conspicuous use of colour and imagery in way that’s accessible to all. The exhibition closes on the 25th of November, but produced out of Arts Council Wales grant, it’s clear that Blackwell’s vision and abilities are recognised for how diverse and confronting they are. 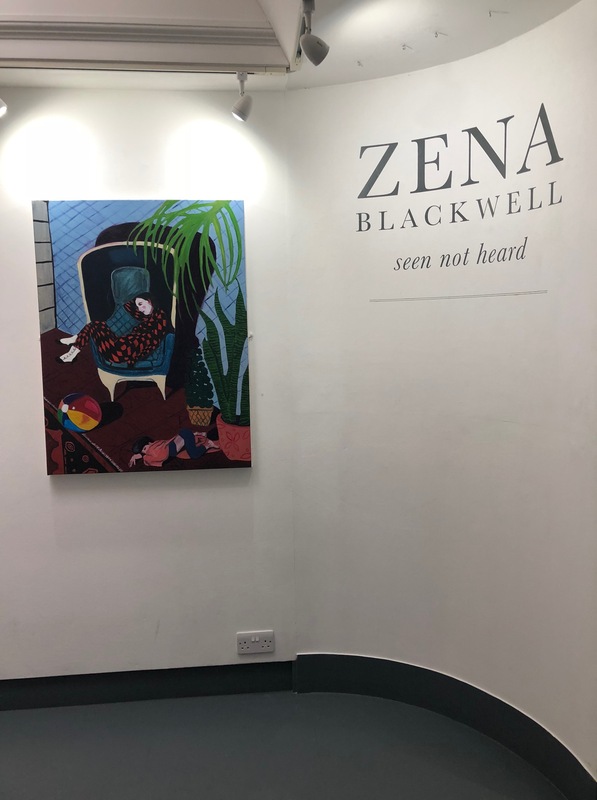 If it’s an indication of what else is to come, make sure you’re following @Zena_Blackwell on Twitter and her website zenablackwell.co.uk.